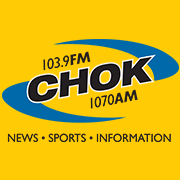 Dr. Kantor was recently interviewed by Carrie Buchanan of CHOK Radio. They discussed Dr. Kantor’s newest book, The Green Box League of Nutritious Justice and the importance of setting a good example of healthy living for our children. The CDC says that if you start teaching healthy living habits to your children before they go to school, that their chances of being healthier (lower risk for diabetes, obesity, etc) are cut down by over 50%. Not sure where to start? The Green Box League of Nutritious Justice is a great healthy living resource for families, that engages children through comics, coloring sheets, fitness activities of all levels, delicious recipes that they can help make and more. In this interview, Dr. Kantor discussed the idea behind this book, what it contains, and how it can jump start your family towards living a healthier lifestyle.